In 1817, Fort Smith was founded by the US Army on the banks of the Arkansas River. The troops station there were tasked with keeping the peace between the Osage and the newly arrived Cherokee Indians. As time passed, the town grew as more and more settlements popped up to supply frontiersmen, trappers, traders, and later miners during the Gold Rush. 200 years after its founding, Umarex is proud to call Fort Smith Arkansas home. 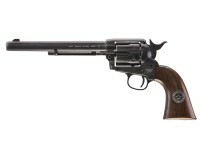 To honor the rich legacy of this historic city, Umarex has released the Fort Smith Bicentennial Peacemaker. 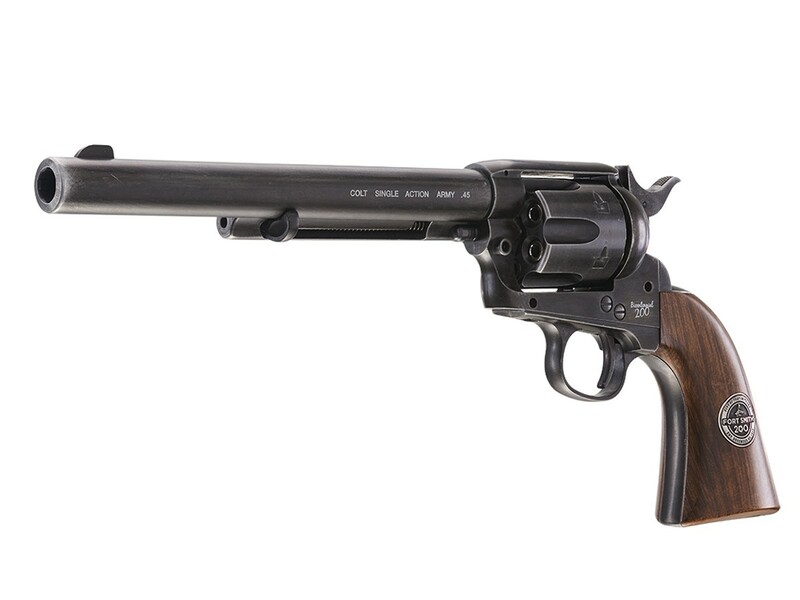 Limited to only 500 units, this 7.5” barrel six gun is sure to please fans of western history and historic arms for years to come. This finely crafted CO2 side iron features a commemorative medallion located in the grip and the words “Est. December 25, 1817” laser etched into the backstrap. A second etching, “Bicentennial 200”, can be found just above the trigger. Loaded up with CO2, this Peacemaker certainly won’t have the kick of the original, but the realistic pellet shell and realistic single-action operation will keep your shooting sessions rewarding engaging. 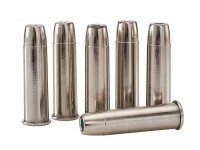 Load up your 6 pellet shells and send them downrange at speeds up to 380 fps. Each revolver features a rugged flat black weathered finish and a dark faux wood grip that would look just dandy hanging out of an authentic western holster. 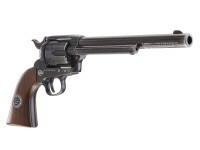 If you love your western history as much as your airguns, don’t miss this limited edition of a gun that won the West. Things I liked: The look and feel of the pistol is amazing, I was truly impressed with it . This pistol is pretty accurate . It is really fun to shoot . What others should know: They won't be disappointed . Things I liked: Wow, I can't afford to shoot anymore with the price of ammo, but this scratches the itch with loading and unloading the shells; I love it! The weight of the gun is fantastic and doesn't feel like a bb gun. Single action shooting is pretty fun; it's slower and far more satisfying than dumping 20 rounds super fast into the cans. Things I would have changed: The plastic tab on the grip worries me and the plastic feels a little hollow and too cheap for the rest of the gun. It shoots right a bit, so I aim more left the further I step back. 15 feet, just a hair left aim, 25 feet, an inch or two left aim. What others should know: My son and I shot this today along with a daisy 415. the 415 is semi auto and has 20 rounds. i thought my son would prefer that, but even he at 12 years old really appreciated the fun and realistic reloading. The peacemaker was easily more fun and enjoyable for both of us. I didn't really know what pellets to buy, so I bought pretty heavy ones, like 10.5 and 13.5 grams. They shoot pretty slowly, so I'm going to buy some lighter pellets next time. With that said, I did enjoy being able to see the pellets a bit easier as they flew. I really waffled about buying a $150 pellet gun, but I really couldn't be more happy with how much fun this is to load and shoot. I'm thinking about getting another one for my son since he loved it too. I hit the thumbs down BY MISTAKE and it won't allow me to change it. I meant to hit the thumbs up as I enjoyed the review. 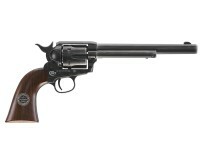 Are these revolvers really numbered 1 of 500, 2 of 500, 3 of 500, etc? Can it be fired in cowboy fanning style? They had issues with the consistency on the blued finish. Had batches come out purple, others had issues with the finish wearing too easily.